As we know, photography is all about light. And some lighting situations can be more challenging than others. This is especially true where a light source behind your subject throws them into shadow. In this issue we look at how to get perfect lighting in these situations by effectively using fill flash. + Mistakes are common in photography. In an inspiration video tutorial, check out a checklist created for you to be able to avoid the worst of them so that you don?t mess up that perfect shot. + In our expert guide, Jo Plumridge reveals 8 things she has learned from being a professional photographer. 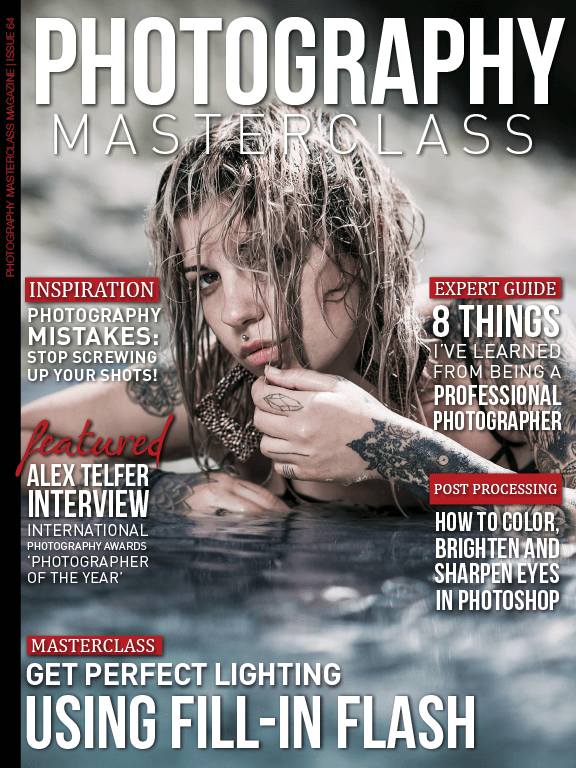 + We were also lucky enough to interview International Photography Awards ?Photographer of the Year?, Alex Telfer. + You'll get to learn how to colour, brighten and sharpen eyes in a great Photoshop video tutorial. + And we also give you the lowdown on the world's first AI photography assistant, Arsenal.